This new and invaluable photocopiable Teacher’s Book supports the exciting series of Morrells workbooks and has plenty of extension exercises in letter formation and cursive handwriting. 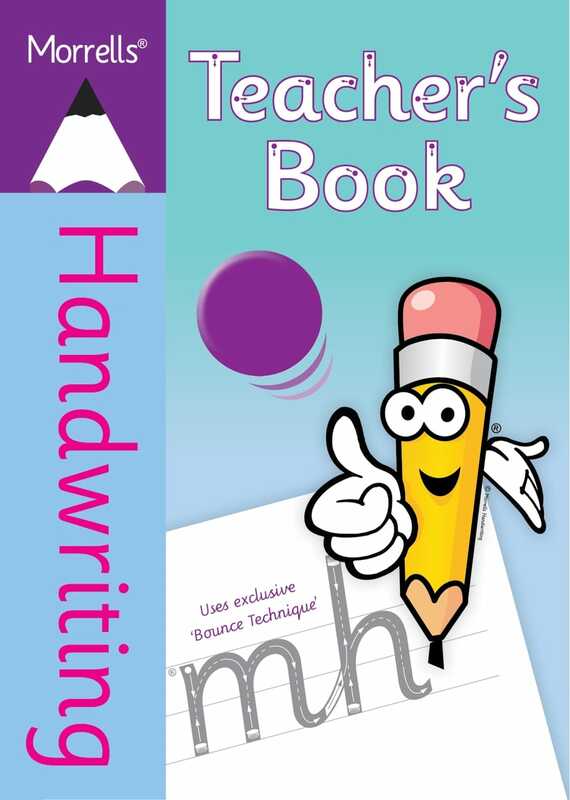 The fresh, modern and structured approach to teaching handwriting supports the series of new workbooks from Morrells for the whole school teaching of handwriting. The comprehensive notes, uncluttered pages and extensive joining practice using vocabulary and grammatical exercises, help the writer to learn a mature style of cursive handwriting, while gaining speed and automaticity through revision. Based on ability rather than age, this photocopiable book is perfect for school or home and can be used to improve the handwriting of both primary and secondary school children and adults. You may make photocopies of this book. 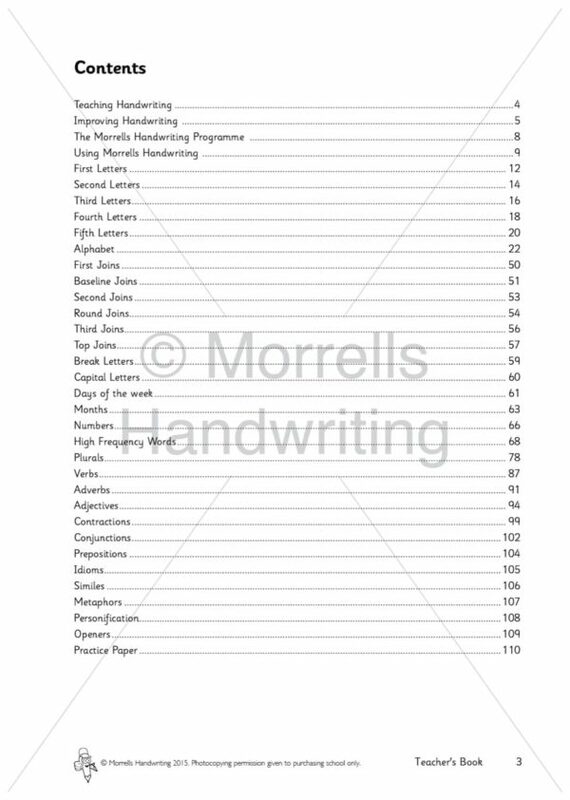 The contents of this page are the Copyright of Morrells Handwriting 2008-2019. Any evidence and research from 3rd parties is always quoted and accredited to the author. You are welcome to quote any content from our website, if it is quoted and accredited to Morrells Handwriting. Failure to do so is an infringement of our Copyright. All rights reserved to Morrells Handwriting.